The King of the DJ Circuit drops another hot release on the trance community. He's been voted the #1 DJ in the world two years in a row. He has recently celebrated over 400 episodes of his weekly radio show, "A State of Trance", which highlights upcoming and classic tunes from the trance community and boasts the most listeners of any radio show on the planet. He has numerous hit singles under his belt, strengthening his credibility as a producer as well as a DJ. Clearly, there are some sensationally high expectations placed upon Armin Van Buuren to keep on delivering quality material non-stop. When his third artist album, "Imagine", was officially announced, fans everywhere were maintaining high standards. Did it pass their tests? Well, I can't speak for everyone else, but I'm fairly content with what this album has to offer. The title track, Imagine, actually starts on a pretentious note. Instead of getting down and dirty with the trance that we're all clamoring for, he starts off with a more dramatic electro-symphonic piece featuring solemn piano work. He must have borrowed this need for a classical touch from fellow Dutch producer Tiësto, who has been known for similar trickery on his albums. A burst of electric guitar and strings help make a transition into the actual song, which is standard trance. It's relaxing driving music, but this won't be the track you'll remember walking away from the album. It's followed by the first official single from the album, Going Wrong, in a collaborative effect with Balearic musician DJ Shah and vocalist Chris Jones. With a slightly sunny and occasionally acoustic feel to it, this would be a fine addition to a mix CD for the beach. The vocals are a little bit infectious, although they're nothing to Twitter everyone about. (Editor's Note: This is not an endorsement for Twitter. Use a phone.) I used to be addicted to this song, but slowly, the thrill has faded. As for Unforgivable, I am still enjoying it! The deep bass makes my vehicle shake whenever I play it, so that's always fun. But it's the infectious vocals of Jaren that keep me coming back for more, especially with that chorus. The instrumental hook that pops up later, simplistic though it may be, is fairly effective in keeping my attention even longer. 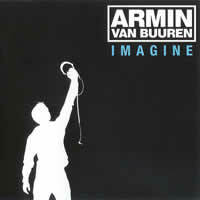 This was another one of Armin's singles, and it's definitely a highlight from the entire work. Face To Face starts out feeling like it's going to be a generic instrumental trancer, and although some may end up agreeing with that, I like the piano melody in the middle. No need for thought-provoking lyrics here. The next track, Hold On To Me featuring the unusually cute vocals of Audrey Gallagher, although a nice song, doesn't stick in my head or appeal as anything particularly special. Yet another single from the album (they keep on coming... and this isn't the last of the bunch I'm going to mention), In And Out Of Love featuring Sharon den Adel, is an interesting song. It, too, has some minor piano work and even a bit of a house quality to it. The vocals may not be the best of the bunch, but they are angelic enough to make the track work. Never Say Never feels the same way, actually. Jacqueline Govaert's voice does appeal to me a bit more, though. Now I remember the first time hearing the extremely repetitive instrumental hook in this song and consistently wondering when the hell it was going to end. After listening to it again... I still have to wonder what Mr. van Buuren was thinking. This is stupid. This is why some people think trance music is crap. On the plus side, Rain with minimal influences from Cathy Burton, made me forget all about that with an absolutely infectious synth hook that brings me joy every time I hear it. And it's so simple, too... but far more complex than the previous song, of course. This is one of the other highlights of the album by far. Now What If definitely has a house vibe, although there's less of a good melody to enjoy here, plus Vera Ostrova's vocals don't even add any pizazz to the experience. In fact, I consider this song to be very dry and easily skippable. Just press the NEXT button on your CD player and hope that Fine Without You treats you well. It will; Jennifer Rene's voice is suited to the song, which is accompanied by a bass guitar with a hint of distortion that doesn't fail here. The trance vocals, combined with a type of faux-harp arpeggiation, make for a pretty sweet combination, so I'll recommend this as well. And to conclude this musical journey, we have Intricacy, one of Armin Van Buuren's typical instrumental closers. Packed with a truly jumpy bassline and a hook taken directly from the Manual for Dutch Trance, it's kind of nice to go out on an upbeat number such as this. It's not perfect, but at least we're going out with finesse and energy. Armin came, Armin saw, and Armin conquered fairly well. Not all of the songs are definite hits, but it's difficult to expect that of anyone. However, the hits do overwhelm the misses, making for an overall enjoyable listening experience that is definitely on par with his previous albums, "76" and "Shivers". And of course, if you love build-ups, they're all here -- no song is shorter than five-and-a-half minutes because of it. So if you're either a big trance buff (in which case, you probably have already heard the album) or if you're looking to dive into the genre, this should be a suitable starting point. It's catchy and it boasts many trance elements that can get you started on your way to the more obscure and deeper levels of the genre.